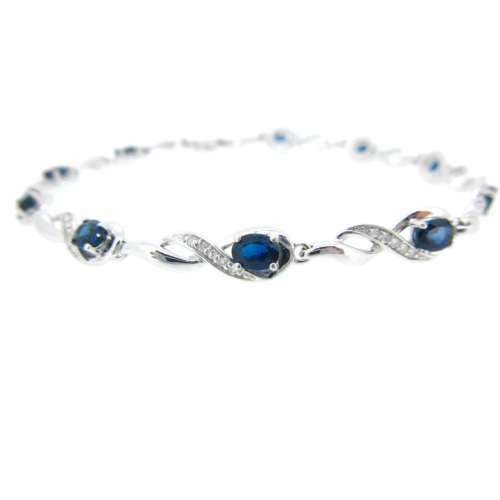 A delicate & very attractive sapphire & diamond bangle set in 9ct gold. Eight small round cut sapphires & seven small round cut diamonds. Total diamond content is .30ct. 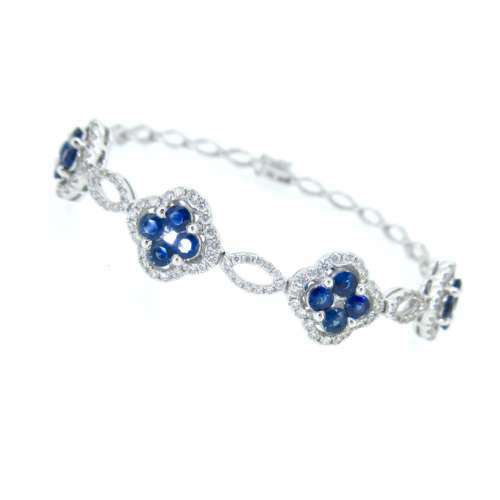 This bangle looks captivating when worn. Pre-owned.